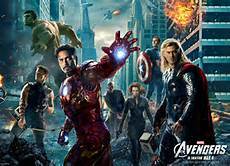 So, generally speaking, I am a super hero fan and my favorite super hero movie is “The Avengers.” I was watching it last night, but this morning I got to thinking about the battles of each avenger and Loki and began to see each one represented people in the church. Now if you think I took this it a little to deep, that is fine with me, still, realize that these comparisons I am about to make are not meant to be a perfect parallel to the movie(s) or the comics, just something to think about. With all that said, the first on the list is Hulk. The way I see it, the Hulk represents the self-pity Christian, the one who tends to say “woe is me.” Like some of us, Banner was afraid of what was inside of him and refused for some time to embrace it, although, he had good reason. Sometimes we get a glimpse of what God has called us to be, but those things about us that seem out of control, whether mentally, emotionally, physically, or whatever it is that makes us different, force us to hide it or deny it, and in doing so sometimes we hurt ourselves or others and become depressed. Some just become angry altogether (like Banner), others just run away and run from God and some turn to things like drugs, alcohol, or busy themselves with a career. Nevertheless, when we finally tap in to who we are in Christ, and know that our imperfections make us perfect (Ps 139:13-14), understanding that God’s Word will help us gain control (Heb 4:12), there is nothing that can stop you. The Hulk then becomes one of the most powerful people in the body of Christ, especially when you have people around you like Tony Stark. Iron man is the arrogant Christian who may very well have every reason to be, because of the success and money. Yet, Stark did have to overcome some major demons and often times felt invincible and was disruptive. Many Christians are like that, they don’t consider other people’s feeling or individual walk, and can be brash and take things into their own hands, without putting others ahead of themselves, leaving others behind. However, once Stark learned to humble himself, he was a very pertinent part of the Avenger team. Like Iron man, when believers use their gifts and talents for the benefit of the kingdom and not themselves (1 Pet 4:10), God uses such people in a marvelous way. However, these people often clash with Captain America. Being older, Captain America had a different mindset that didn’t match with someone like Stark. He can be considered the close minded judgmental type of Christian. These people like the Captain, were faithful and take the gospel seriously, but too often they miss the bigger picture; they have tunnel vision and refuse to think outside the box and are orthodox and condemn those that aren’t. However, the moment they open their eyes and accept the new thing God is doing (Is 43:19) and humble themselves enough to learn, they are awesome leaders for the kingdom of God, even with the Black Widows. Natasha Romanoff represents a person trying her hardest to redeem herself from her past sins. This person may not be a believer. Many times a person chooses not to come to Christ because he wants to get himself together and right all his wrongs. The beautiful thing about Jesus is that when you come to him, you don’t have to live with that guilt or live bound up in chains by your past (Luke 4:18), because when Jesus forgets, he remembers your sins no more (Ps 103:12; Mic :18), so why should you? As Black Widow tried to do, you can’t earn your salvation, that only comes through Christ, and the moment you come to him, the only one who can redeem you (Ps 78:35), and give him all your mess, that pain becomes a mighty purpose and you can lead others like Hawkeye. Hawkeye I think represents the one who got to sure of himself, but it was then that the enemy came in and he fell under the trap. Many of us do that when we reach a certain point that we lose focus or misjudge the enemy and use our own wisdom, and next thing we know we are in some mess. That’s why the scripture tells us to be careful and watch out so that we don’t get so caught up that we fall (1 Cor 10:12), for the enemy is around every corner, and sometimes the distraction can be one like Thor. I think Thor could relate most to the Christian that has a soft spot for the world; he knows its dangerous but still has a heart for it and it’s a constant battle, although you can’t serve two masters (Rev 3:16; Matt 6:24). More so, Thor thought he could defeat the enemy alone. As a believer, we have to let go of the pleasures of the world and be sold out, even if that means leaving family or friends behind (Lk 9:23). Now later on, God may send you back, but He needs to do a work in you first. Furthermore, like Thor, learn to appreciate and use the people around you that can show you the enemy for who he really is, who is a lot like Loki. Loki simply represents the Devil himself, whose objective is to steal, kill, and destroy just as Loki. Let’s call his army demons. They came and caused a lot of Havoc on earth, but when the Avengers came together, called by Nick Fury, it was rough but they got it together and won in the end. In this walk of life you may be one of these avengers, each with different gifts, talents, personalities, skill levels, and abilities, but ultimately that makes up the body of Christ (1 Cor 12) and God has called us, as Nick Fury called the Avengers, believing in us when others didn’t believe in us and we didn’t even believe in ourselves. Still, as with Fury, God doesn’t always tell us the whole story, but the more we follow Him, the more He reveals things to us (Amos 4:13). He has a special plan and a special purpose for each of us, and the more we learn to work with each other and not against each other (as the Avengers did in the first half), the greater our impact will be on this world for the purpose of God’s glory.